Private seller, call me (909) 282-0785 Custom upgraded 1995 Newell with a raised roof is being offered for sale. Runs and drives as it should with its powerful Detroit 60 series engine. The Allison 6 speed automatic transmission shifts smoothly into gear. Cruises easily at 85+ mph. * Raised roof * Just serviced, over $7,000 ( in preventative maintenance ). * Current California Registration with Title papers in hand * Full body paint * Upgraded 2006 front end * Micheline tires * Detroit 60 Series * 525 HP * Fully chrome head, valve cover, intake manifold * Mid-entry * Automatic air leveling system * Coach sits on 10 large air bags * Polished alloy wheels * One oversized electric awning with wind-guard and remote control * Leather throughout * Aqua hot system * Led lighting throughout * Family size stackable washer and dryer * Two mirrored air doors * 3 AC units * Granite floor ( In kitchen area) * Ceiling Fan If you would like a live time face time video just call me (909) 282-0785 Thanks for viewing! You have to look at the title to know the age of this Coach. It is stunning both interior and 2020p exterior option with chrome. Tough to find any flaws, chips, scratches, or dings...all exterior in excellent condition. Bright and shiny chrome and paint. The interior is tastefully decorated and is magazine photo ready! All interior fabric and leather in excellent condition and have the Movie Star look. Coach has been stored by the current owner in a custom built garage which is climate controlled preserving the condition. Stock #174365 This is a stunning and well kept 2014 Newell Coach 2020p -45', with only 57k on a Cummins diesel If you are in the market for a class a, look no further than this 2014 Newell Coach 2020p, priced right at $1,333,400. 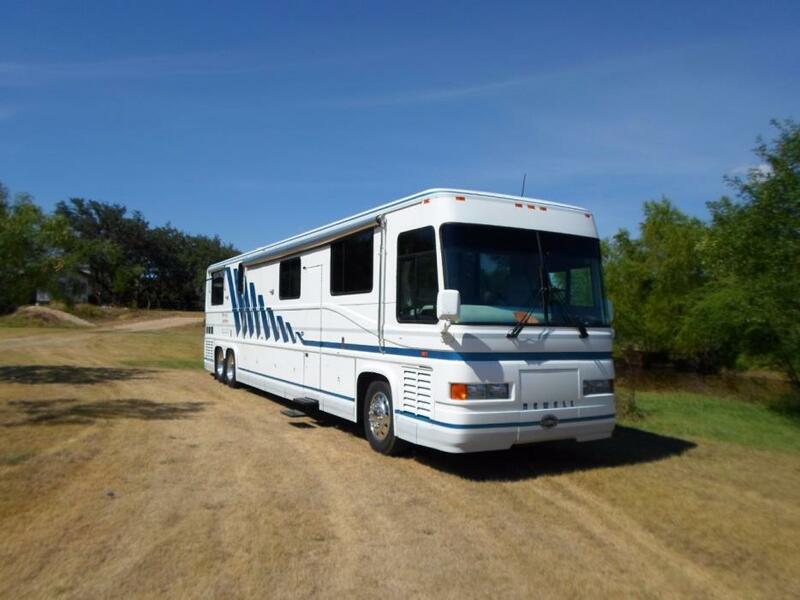 This Class A is located in Seabrook, Texas and is in great condition. She is also equipped with a Cummins engine that has 57,000 miles. Reason for selling is no more driving. plans to rent vacation properties.. The seller states that all mechanical and electrical systems are in good working order. The upholstery appears tear-free. The exterior pinstriping and aluminum is dulled, but everything looks straight and would buff nicely. 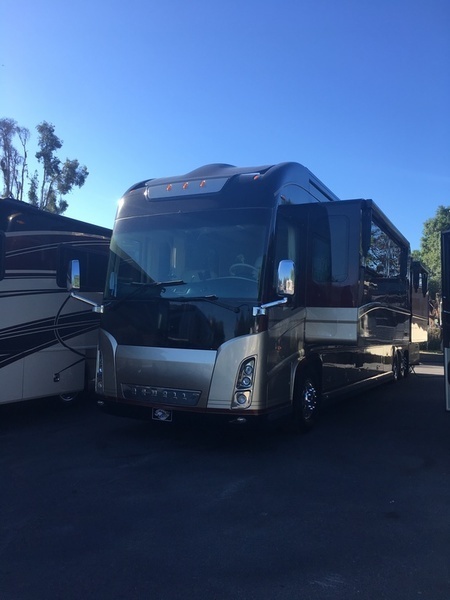 Stock #170623 Highly sought after NEWELL COACH with the airplane style riveted aluminum siding! Amazing condition! Get this vintage beauty while it lasts! If you are in the market for a class a, look no further than this 1980 Newell Coach Classic, priced right at $27,800. This Class A is located in Rio Vista, California and is in good condition. She is also equipped with a Cummins engine that has 156,589 miles (as of February 20). Reason for selling is not using. Excellent condition throughout. Owner is certified mechanic and has taken great care of this machine. Yo won't find a cleaner, more well maintained one than this. Records available and original purchase documents for review. 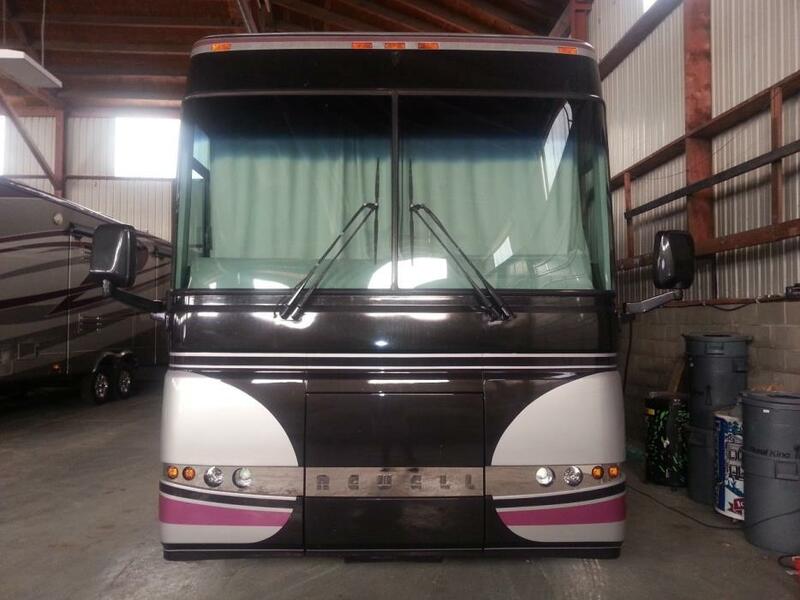 Stock #127442 Beautiful 2008 Newell Coach! Loaded and ready to hit the road! 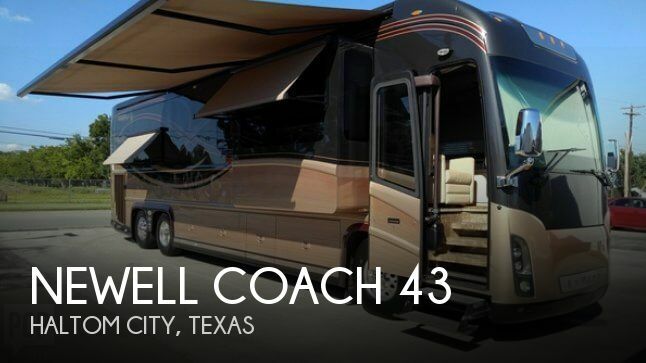 If you are in the market for a class a, look no further than this 2008 Newell Coach 43, priced right at $432,300. This Class A is located in Haltom City, Texas and is in great condition. She is also equipped with a Caterpillar engine that has 144,000 miles. 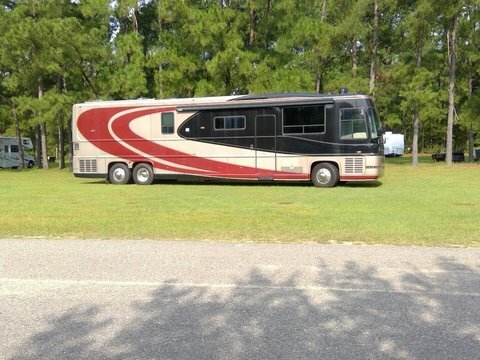 Reason for selling is no longer need..
Used 2006 NEWELL 45 ft Luxury Motor Coach Quad Slide Caterpillar C15 625 Horsepower, Z/F AS-Tronic 10 Speed Automatic Transmission, 95K Miles, Bath & a half, Outside Kitchen and Entertainment, Aqua Hot System, NEWELL COACH NUMBER 765, Completely Loaded Too Many Features to mention, "Extra Clean". Also Available (Not Included in Price) a 24 ft UNITED Stacker Trailer with a color coordinated wrap that looks like the beautiful full body paint on the NEWELL! 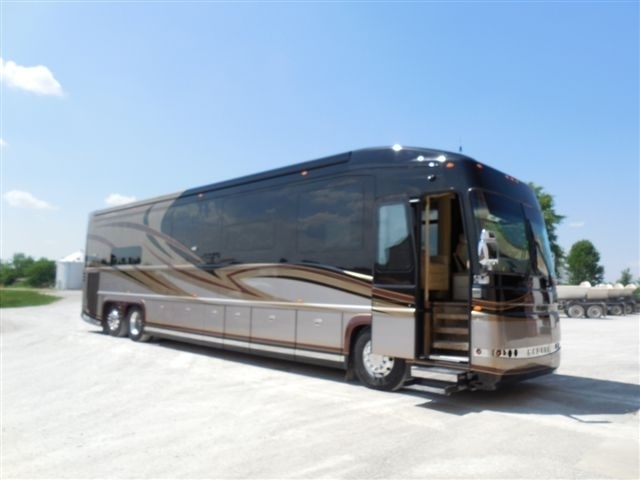 Come see this Luxurious Motor Coach Today !!! Incredible Coach! This 45ft quad-slide, bath and a half Newell is in impeccable shape and exemplifies what a Newell is all about. Turn on a dime with the steering tag axle and enjoy all the comforts of a luxury home when driving down the road powered by your 625HP CAT. Low miles and lightly used 20 KW turbo-charged generator, lots of powered equipment along with the luxury and safety built into every Newell. 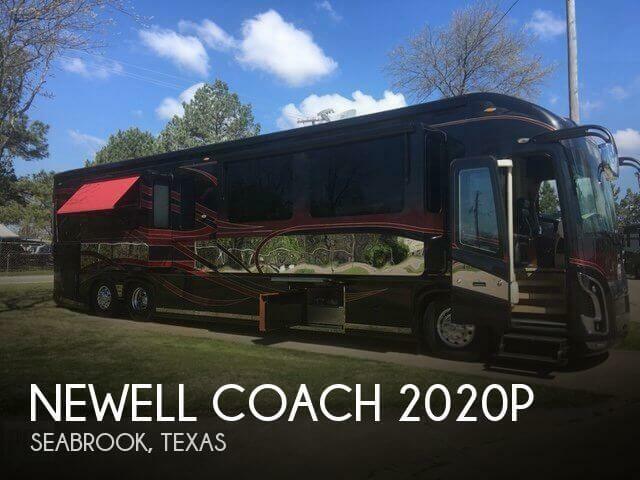 Call or stop by today to learn more about this beautiful Newell Coach. --- 45' 8" long, 61140 miles, wood look polished ceramic tile flooring, bath and a half floor plan, computer desk and chair, large walk-in shower, King Cross Island Articulation Bed, garbage disposal, "hidden" residential refrigerator, 50 lb freezer on slide tray in bay, ice maker in refrigerator, wine cooler & more! ***SEE MORE AT DEALER WEBSITE. 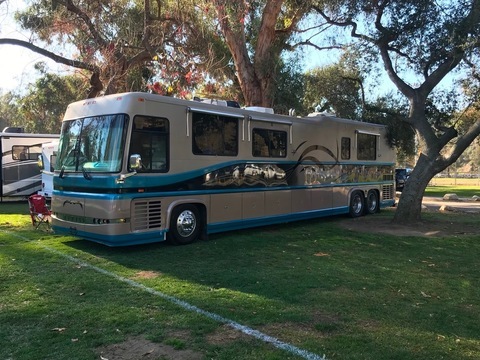 I am selling my 1995 Newell Coach. It is Newell number 377. These high quality coaches are not mass produced. Each on is manufactured to the owners wants and needs. This coach is 45 feet long and 102" wide. It was built with a unique layout with a side hall way to the back. This allows you to close off the rear when travelling for a very quiet ride. It also has a huge bathroom and master bedroom suite which makes it very easy to live in. It has the Series 60 Detroit engine for tons of power and a bullet proof 740 Allison Transmission. All in perfect running condition. The generator is a 20KW. The water capacity is 168 gallons. 67 Gallon Liquid Propane, and 240 gallon fuel tank.This coach has been very well maintained and is ready for cross country travelling. Coach has been well kept has been in temp controlled shed when not being used. Email with questions. Well equipped has (4) a/c units, Sub Zero refrigerator/freezer, 2-burner recessed cooktop, microwave/convection oven, dishwasher, intercom system, central vac, stacked washer/dryer, leather convertible sofa bed, outdoor entertainment center w/television and refrigerator, ceiling fan in bedroom, 42" flat screen TV w/home theater surround sound with subwoofer in bedroom, 42" plasma flat screen TV in salon with DVD navigation system, exterior awnings, Too many options to list, this gorgeous unit is a must see. 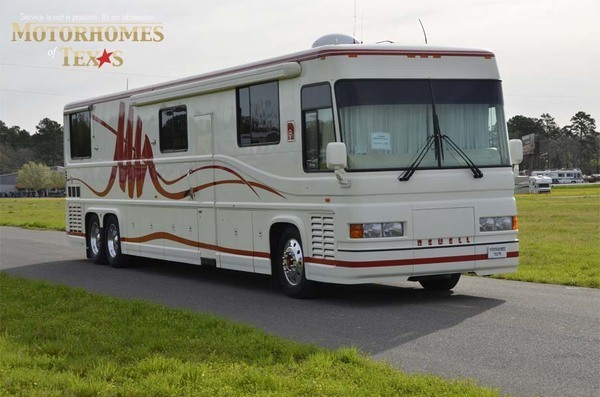 $100,000 in Upgrades - Modernized Classic Newell Coach1992 Newell Coach #284 with many expensive upgrades to both the interior and exterior of the coachNew Detroit Diesel 8V92 Engine and Radiator $50,000New Front End Fascia and HID Headlight Upgrade at Newell Factory $20,000New House and Cranking Batteries with Magnum 2000 Watt Invertor $5,000New Flat Screen TV's $1,500Bath Shower / Toilet Upgrades $1,000New Carpet throughout $3,000New Curtains / Window Treatments $3,000New Leather 6 way power drivers seat $1,000Weatherproofing of all windows and all exterior lamps $2,000New Driver's Sliding Window $1,500Custom Bunk Beds $1,000 Stored 30 minutes North of Orlando 120,000 miles on the chassis and just under 10,000 miles on the new engine Generator is a 12.5 KW Yanmar/Kohler and has just over 5,000 hours Tow rated up to 24,000 lbs with 7-pin adapterHWH Auto-leveling SystemAir ride suspensionBack up cameraSilverleaf SPC Engine and Tire Monitoring System with included IBM Thinkpad LaptopFront end upgrade to the newer 2000i front end complete with HID headlightsInterior is extremely clean and modern with gray formica walls, cabinets, doors and closets.Sharp Carosel Convection/Microwave Combo unitDual Black Undermount Porcelin Sink Bowls with Residential Detachable Spray Faucet and Sink CoverGranite countertops throughoutBuilt in Wine Glass Cabinet StorageFully Soundproofed / Lined cabinets with pull out trash cabinetTwin Huge Pull out Pantry CabinetsGaganeau 2 burner gas cooktop with coverResidential fixtures in shower and sinkBlack 4 person Ultraleather Dinette with Granite TabletopBlack porcelin residential size toiletTri-fold vanity mirros with storageFull size residential size showerThe coach has a very modern feel and appearance with 2 flat screen TV's, carpet throughout and currently has bunk beds for children or a black ultra-leather sleeper loverseat.Sleeps up to 7 - 2 in master / 2 in bunk beds / 2 on sectional jackknife couch / 1 child on DinetteIn-motion satellite for entertainment on the goBedroom has 6 Huge storage cabinets and under bed tilt-up storage (mattress not included)Under bed storage included safeHis and hers closets in the master bedroom and additional closet for children's clothes or extra storageTires are 4 years old and have been stored indoors so they are in great condition with low milesCoach is in great mechanical condition and are sadly forced to sell due to health reasonsContact via Phone at 812.208.5353NO REASONABLE OFFER REFUSEDMore Pictures to Come!! 2005 Newell Coach 40 FT.
2005 Newell Coach #748. 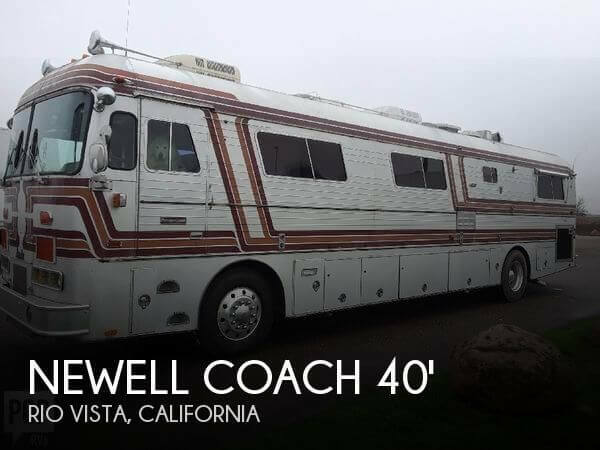 Rare 40-foot coach with 3 Valid slides, turning tag wheel, 525 Catepillar engine, and Allison transmission. Two-speed jake brake. Michelin tires (front & tag new in 2014). Powertech generator (932 hours). Silverleaf total coach system. Three air conditioners, AquaHot dual electric/deisel system. Air suspension driver's chair. Excellent condition - has always been garaged. Winegard automatic HD satellite dish (new in 2015), and 2 Dish Network receivers (new in 2015). Pioneer in-dash navigation and multimedia AV receiver with DVD & hard disk recording. Miele dishwasher, Sub-Zero refrigerator with icemaker and 2 freezer drawers. Gaggenau 2-burner electric stovetop, Splendide combo washer/dryer. Hunter Douglas window shades with master switch. Full Girard awnings with master switch, including new 22-foot patio awning with LED lights. Electric Slidemaster Joey bed (new in 2015). Granite/carpet floors. Lots of storage inside and outside. Coach currently in Port Aransas, TX (near Corpus Christi). Will be moved to Cascade, Montana in mid-May 2017. 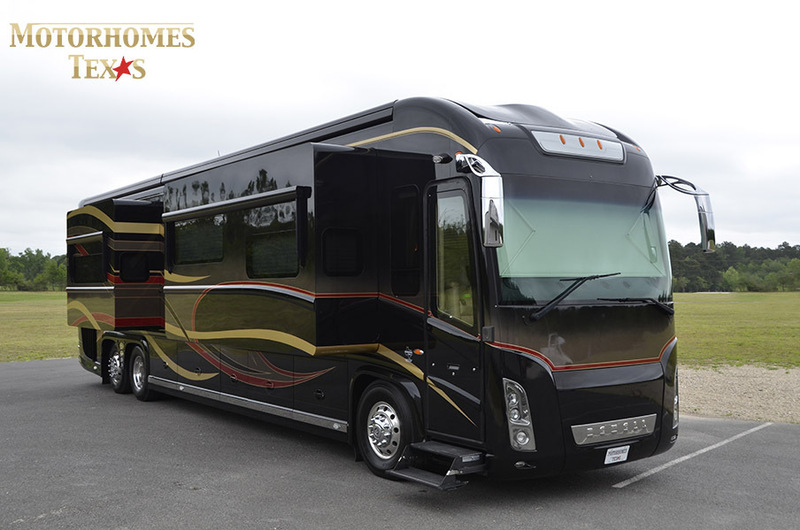 This Newell Coach was custom built from the ground up to cradle its occupants in luxury and safety with the side benefit of the comfort and beauty that can only be found in Newell. 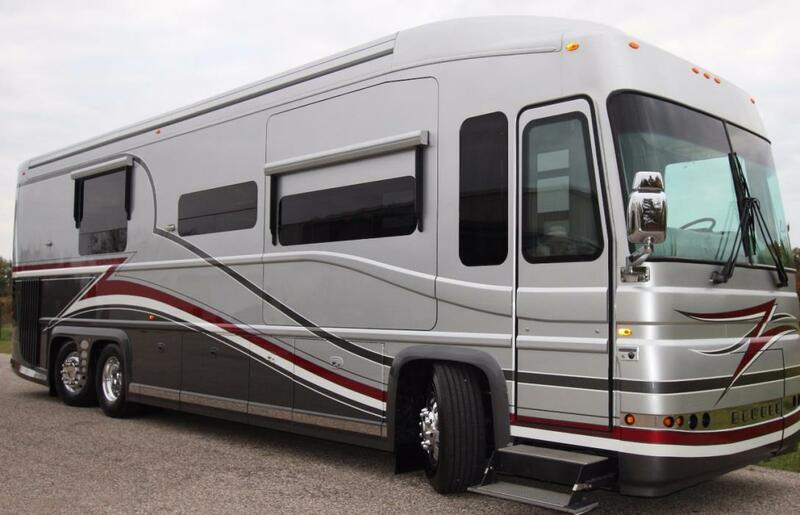 This "All American" built, luxurious traveling palace on wheels is the end of the line if you are moving up in the motorhome world. Lots of power, lots of braking and safety features and conveniences take you touring in the lap of luxury. 2 slide rooms, Oversize Queen Island bed, Private toilet, laminate cabinetry, and much more. 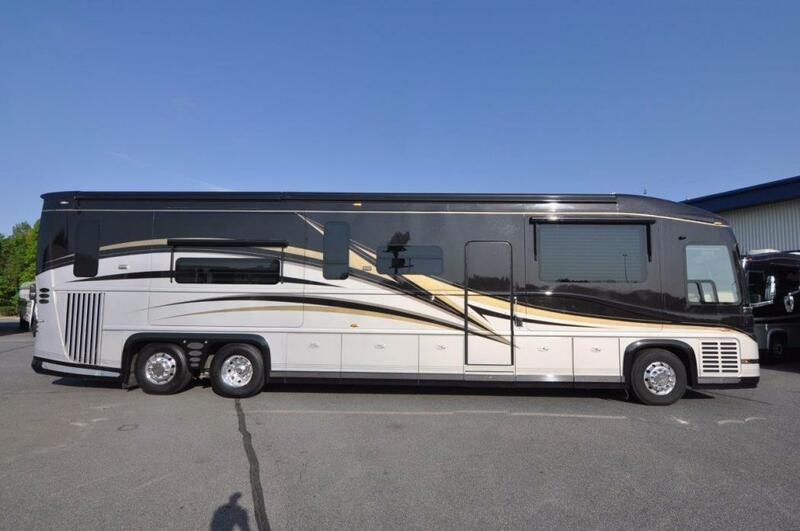 ---- Detroit Series 60 500 HP engine, Allison 6 speed HD4060 transmission, Power Tech 20 KW Turbo Diesel, "smart" steering wheel, Power bed lift, Queen bed, marble entry, kitchen & bath, stacked washer/dryer & more! ***SEE MORE AT DEALER WEBSITE. Extremely well-maintained side bath/Isle Newell! 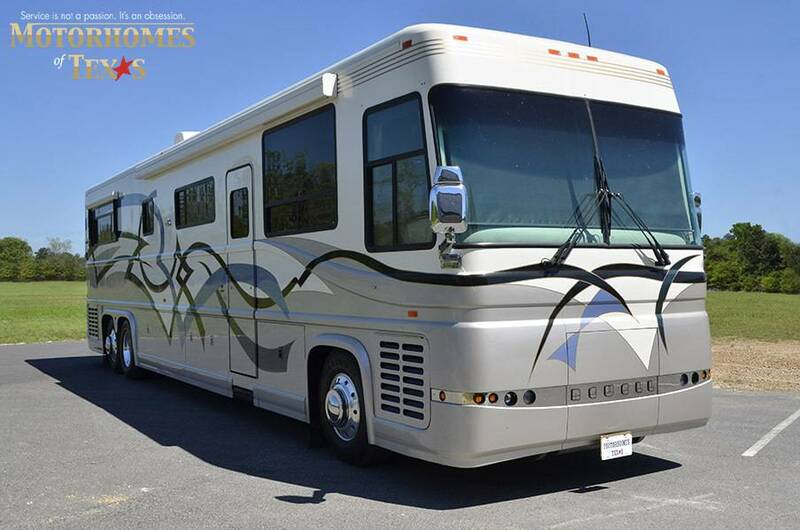 This 45' Newell has an incredible look for a 1995, plus you will rarely see another floor plan like this for sale. This unit has been meticulously pampered by previous owners. 2 Leather sleeper sofa's in the living room and a booth style dinette gives the living area a cozy feel but you are still surrounded by the elegant appeal of luxurious craftsmanship. Once you drive this unit you will understand what makes a Newell special. Call or stop by MOT to learn more about this great coach! 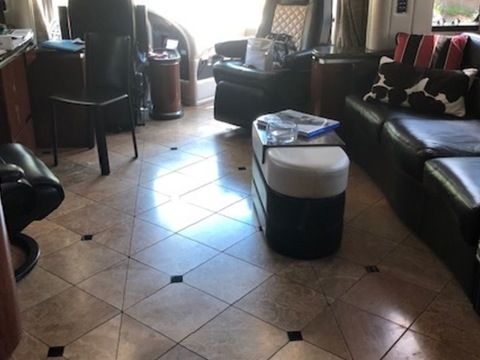 ---- Side Aisle, Gloss Cream Laminate, Detroit Series 60 470 HP engine, Kohler 20 KW generator, Previous Owner's service records, granite floors in entry, kitchen and bathroom, Queen bed, backup camera & more. SEE MORE AT DEALER WEBSITE.